Arizona State University engineer Bruce Rittmann and physicist Klaus Lackner will lead a new research project to aid U.S. Department of Energy (DOE) efforts to boost production of a promising source for clean, renewable energy. 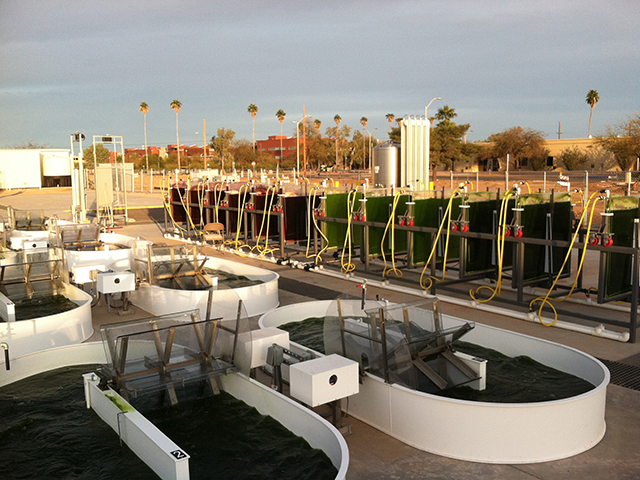 DOE has awarded ASU a three-year, $1 million grant to fund the Atmospheric Carbon Dioxide (CO2) Capture and Membrane Delivery project aimed at enabling more large-scale cultivation of microalgae. Microalgae are species of microscopic single-cell organisms, such as Spirulina and Chlorella, that exist in fresh water and sea environments and can be used to make biofuels and an array of consumer products, using only sunlight and CO2. Besides renewable biofuel production, microalgae biomass is being used for a suite of products, ranging from food supplements to feed for mammals and fish to therapeutics and cosmetics. “Our goal is to develop systems to make growing microalgae more affordable and sustainable and to produce it on scales large enough to meet growing demands in the United States and globally,” Rittmann said. He and Lackner are professors of civil, environmental and sustainable engineering in the School of Sustainable Engineering and the Built Environment, one of ASU’s Ira A. Fulton Schools of Engineering. 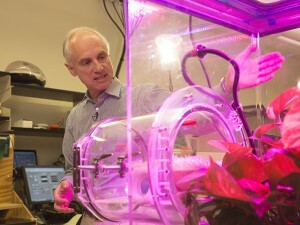 Rittmann is director of the Swette Center for Environmental Biotechnology at ASU’s Biodesign Institute. 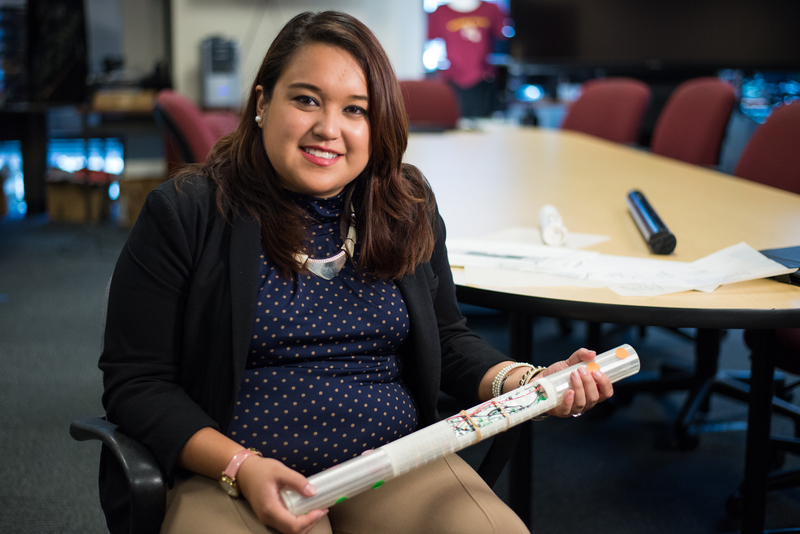 Lackner is director of ASU’s Center for Negative Carbon Emissions. Their centers will join forces with researchers in the Arizona Center for Algae Technology and Innovation (AzCATI) on atmospheric CO2 enrichment and delivery systems. AzCATI, located at ASU’s Polytechnic campus, is part of the School of Sustainable Engineering and the Built Environment. The project team will focus on two technologies: moisture swing sorption for capturing CO2 from the atmosphere and membrane carbonation for delivering the CO2 more efficiently to microalgae. Klaus Lackner, director of the Center for Negative Carbon Emissions at ASU, is shown monitoring carbon dioxide and atmospheric conditions to optimize plant growth and test moisture swing sorption technology designed to boost microalgae production. Photographer Jessica Hochreiter/ASU. “The current atmospheric levels of CO2 are too low to produce high rates of microalgae growth. We want to feed the microalgae with CO2 concentration significantly higher than in the atmosphere to enable the microalgae to grow much faster. My part of the project is about a novel way to deliver that additional CO2 at very high efficiency,” Rittmann said. “Because atmospheric CO2 is everywhere, our goal of linking CO2 enrichment and delivery will enable microalgae technology to work in any sunny climate or environmental condition,” Lackner said. Microalgae grows best in the sunny, warm climate of the Southwest, but need a source of concentrated CO2 to grow. Power plant emissions are a potential source of concentrated CO2, but there are not power plants near most good locations for growing microalgae. Capturing and delivering CO2 directly from air is a game changer, Rittmann and Lackner said, because it allows microalgae to grow anywhere to make fuels and valuable products. Lackner’s part of the project involves a new technology called moisture swing sorption, which uses a special material that, when dry, selectively adsorbs CO2 out of the air to enrich atmospheric CO2. When the material gets wet, it releases the CO2 into a small volume of air so that CO2 is at least 100 times more concentrated than it was in the ambient air. Lackner’s approach will be augmented by another technology, membrane carbonation, that provides a method to deliver more CO2 to microalgae much more efficiently than the conventional method. This method, called sparging, works much like the way bubbles carry oxygen into the water in a fish tank. Rittmann’s membrane material has no pores, so bubbles are not formed. Only individual CO2 gas molecules can pass through the walls of the membrane by diffusion. CO2 is then rapidly dissolved in liquid so it can be “inhaled” by the algae. Bubbles, on the other hand, rise rapidly and allow the CO2 to escape back into the atmosphere before it can be “inhaled” by the algae, which reduces efficiency and increases costs. “We can get a much higher CO2-use efficiency by membrane carbonation. This is important when we capture and concentrate the CO2, which has a cost,” Rittmann explains. 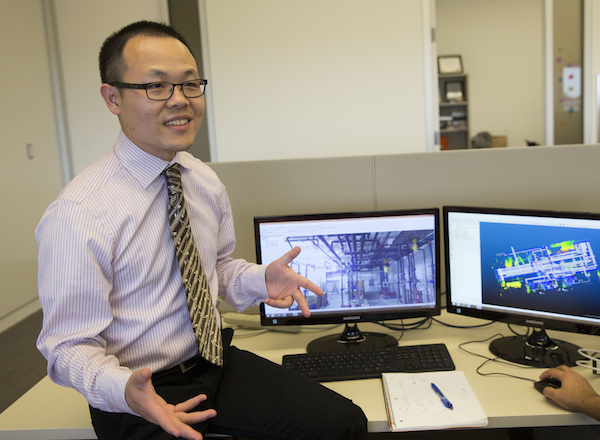 To help meet the ambitious goals and milestones of the project, the Biodesign Institute’s Center for Applied Structural Discovery (CASD) is also supporting the project through the efforts of researcher Justin Flory, who will serve as the technical project manager. Flory will coordinate the team’s efforts to meet timelines and critical proof-of-concept deliverables, as well as contribute technical expertise in algal systems and photosynthesis. “This project is a good example of how CASD is building on its core expertise and generating fundamental knowledge of photosynthesis to develop next-generation clean energy systems.” said director Petra Fromme. The Swette Center for Environmental Biotechnology manages microbial communities that provide services to society. Most of the services make our society more environmentally sustainable: for example, generating renewable energy, and making polluted water and soil clean. The microbial services also make humans healthier – directly and indirectly. Researchers in the Swette Center apply the most advanced tools of molecular microbial ecology, chemistry, microscopy, and mathematical modeling to think like the microorganisms and, in turn, create systems that allow the microorganisms to provide beneficial services ranging from sustainable environmental processes, to nutrient and energy recovery, to making humans healthier. The Center for Negative Carbon Emissions is advancing carbon management technologies that can capture carbon dioxide directly from ambient air in an outdoor operating environment. The aim is to demonstrate systems that over time increase in scope, complexity, reliability and efficiency while lowering the cost of carbon dioxide capture from air. The center’s researchers also consider the economic, political, social and environmental ramifications that will arise with the availability of an affordable air capture technology.